Birch Hill Happenings Aromatherapy Recipes!! 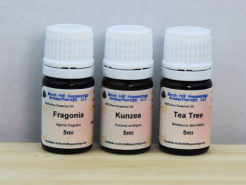 Here you will find a Collection of Helpful and Useful Aromatherapy Recipes using Pure Essential oils and all natural ingredients. CLICK on the TITLE to take you to the page! Recipes for a Floral Body Spray, Tranquil Bath, Skin Toner, Travel Sanitizer, Spring time Diffuser, Energizing massage, Get ready for Bugs on your plants, Jock Itch blend powder for Men. Recipes for bath time, reduce stress, Body powder for Men, Sinus congestion, Dry and Mature skin and room scenting that helps disinfect but provides holiday scenting too! They range from massage oils to many diffuser blends. To help freshen the air and remove odors, clean the floors and walls, help you sleep, and massage those sore running muscles! Here are a wide selection of recipes for you to try. They range in those for Romance, Insect Repellent and "Keeping Away Monsters!" Included are links to any essential oils or supplies you need to order so you can have some fun blending and of course, using them too! HOW to make your Own Floor Cleaning Pads! Easy to do using simple items and minimum products to have these easy to use Cleaning pads. Click here to read the article and SEE the SLIDE SHOW! Summer coming soon. So much activity, so much excitement, so much fun!! Summertime in Minnesota goes by fast, as do all the seasons. We are lucky that we actually see a definite change in all the seasons. Here are recipes for making Spring "Fruity" Potpourri, For Wrinkles and aging skin, Itchy skin, and Much more! Here are recipes for Sore throats, Sinuses, Congestion, Dry skin, Croup, Lips, Air Freshening, Romance and More. Uplifting Recipes to Brighten you during the Winter months. Suffering from Cabin Fever, S.A.D. or just plain sick and tired of winter? These recipes will help brighten your spirits! The information provided on this Website-Blog is for informational and educational purposes only. You should not use this information to replace medical advice given by a licensed medical practitioner. Anyone considering alternative therapies should remember to consult with their licensed medical professional before using any alternative or complementary method. We do not give nor is any opinion on our web site medical advice, they are merely suggested uses. © 2014 Penny Keay - All Rights Reserved World wide.